Submit your book to our reviewers for $50 and gain exposure to thousands of readers in your genre. If our reviewers like what they read, your book will receive a high-quality review and be promoted on the Discover feed where readers will up-vote their favorite titles. The top books from each week will be featured in our weekly newsletters which are sent to thousands of readers in your genre. This is when your book will go live on Reedsy Discovery. Most authors choose their book publication date in order to maximize their exposure to readers when their book launches. If they like what they read, you'll receive a high-quality review that's promoted on the Discover feed on your launch day. Unfortunately not every book will receive a review, but fear not, it will still get added to the feed under the "Recently Added" tab where readers can still vote, comment and discover your book. Buckle up. It’s launch day! The first chapter of your book is made available to readers, who can read, comment and up-vote their favorite titles. We have thousands of newsletter subscribers in our network who are eager to discover the best new books. Each week the most up-voted titles are Featured on our homepage and emailed directly to readers in your genre. 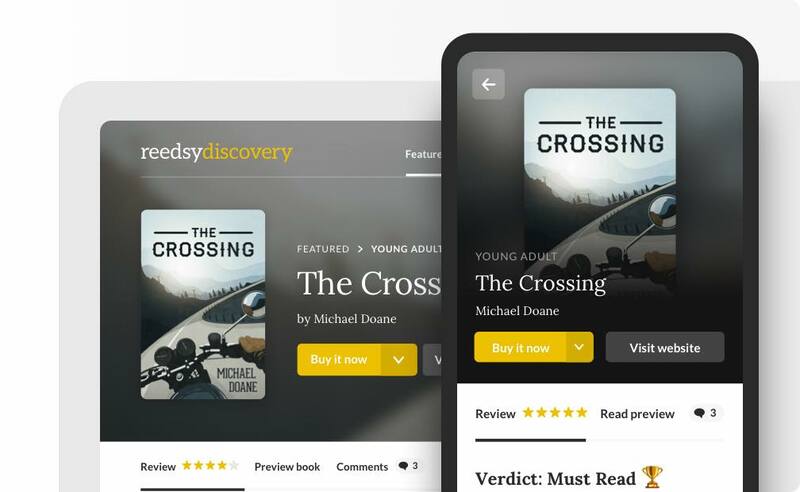 Every book submitted for Discovery will get a unique landing page that you can use to market your book. So even if your title isn't selected for review, you will still have a powerful sales tool in your arsenal. Calling all authors! Submit your book for Discovery. Submit your book to our reviewers for $50 and gain exposure to thousands of readers in your genre. Want to learn more? Read our submission guidelines. Give your book the launch that it deserves and gain exposure to thousands of readers in your genre.